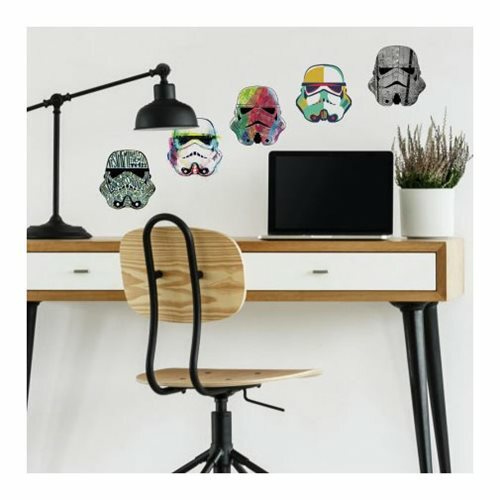 Featuring eight Stormtrooper heads, each in a different artistic style, peel and stick decals combine fun colors and style with the Star Wars universe. Easy to apply and simple to remove, peel and stick to any smooth surface. Feel free to play Darth Vader's theme song as you stand back and admire your newly-refreshed space. Decals arrange in sizes from roughly 8 1/2-inches x 8-inch to 9-inches x 8-inch.